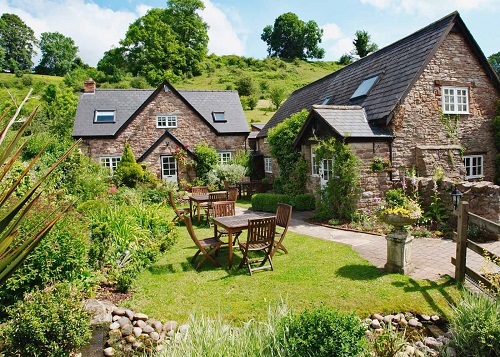 Flicking through February’s Country Homes & Interiors magazine we spotted a glowing recommendation for ‘Tudor Farmhouse‘, a chic country hotel nestled in the Forest of Dean in Gloucestershire. On closer inspection of their beautifully styled rooms (and an eagle eye!) we couldn’t help but notice quite a few Jim Lawrence lights in their midst. 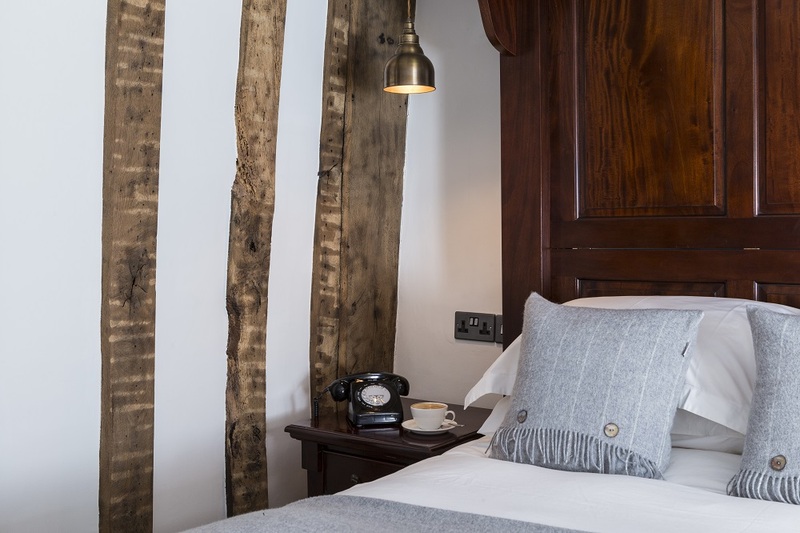 Rich wooden panelling, restored beams, impeccable modern country furnishing and the idyllic green landscape is the perfect backdrop for our lighting. 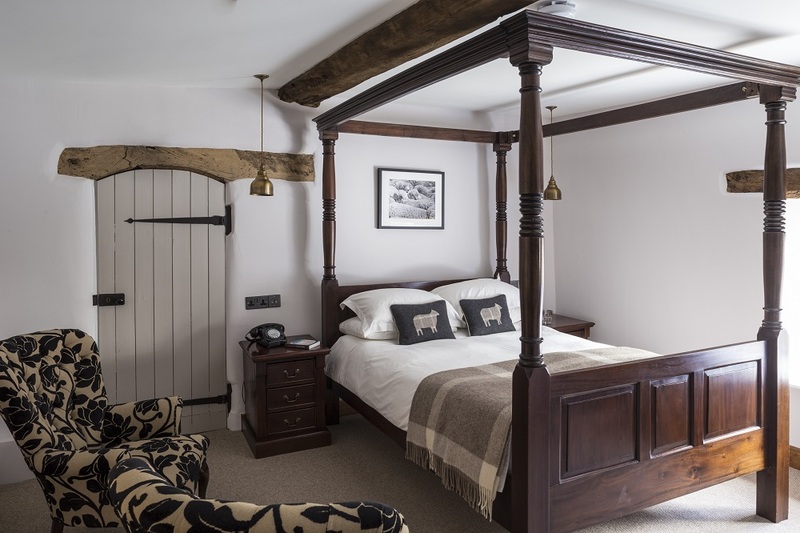 Love locally sourced grub, outdoor adventures and a beautiful room to relax in? Look no further for your next family holiday. 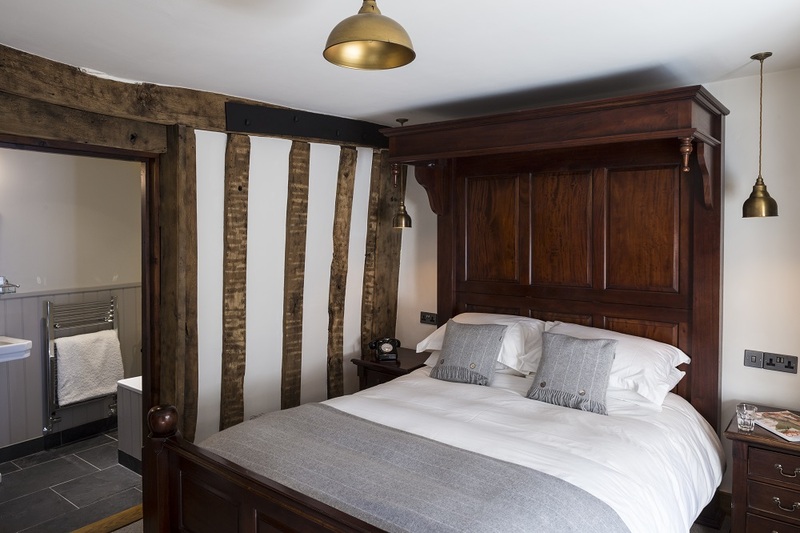 You can never have enough bedroom inspiration, so here’s a closer look at our Weston pendants bringing a soft lighting to one of the suites within the renovated Cider House. 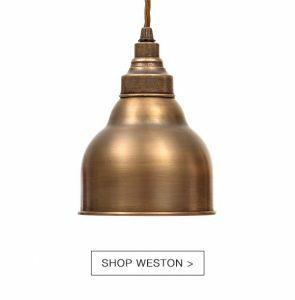 The Weston is a small light that makes a big impact thanks to the solid metal shade. The mahogany sheen of the four-poster and golden colour in the armchairs are mirrored in the brass tones, bringing an inviting warmth to the room. Accent lighting is what we use to accentuate certain features within the room. Usually this would be to illuminate a piece of art (eg with a picture light) or creating a soft glow above or below cupboards for a softer halo of light than a task light. Using the Weston’s in this way by the bedside avoids using just a harsh angled spotlight and allows the low light to gently pool in areas you need to see. 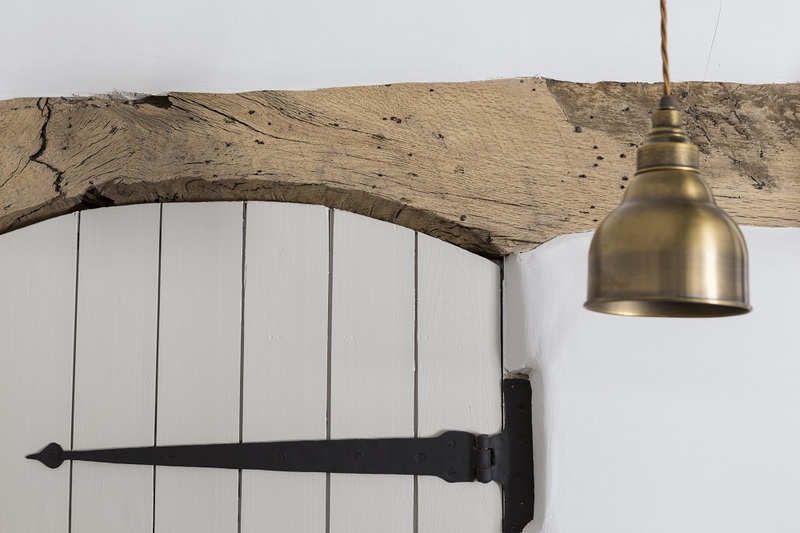 In country homes ceilings are often lower than new builds, so a shorter cable with a smaller shade creates a feature without a reduced chance of banging your head! 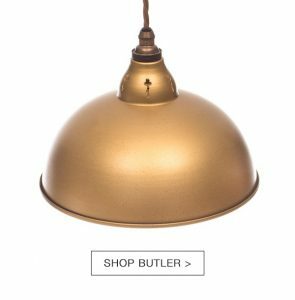 In the suite below they have included a Butler pendant in Old Gold which brightens up the room with it’s beautiful golden glow – even by daylight! Again, a pendant with a shorter cable creates the statement you need whilst complimenting the space instead of intruding on it. Using pendants frees up the bedside tables, creating a clean, clutter-free space for the guests – more space for breakfast in bed! Pick up Country Home & Interiors latest issue to read the lovely words about what to eat, do and see in this gorgeous location. We’d like to say a huge thank you to owners Colin and Hari for letting us share these interior images. Find out more on their website and succumb to inevitable food envy on their Instagram. Want to find out more about the designers behind the hotel? Influential designers Fawn Interiors have collaborated on a post with us about romantic décor, and you can follow them on Instagram @fawninteriorsstudio for even more inspiring interiors.